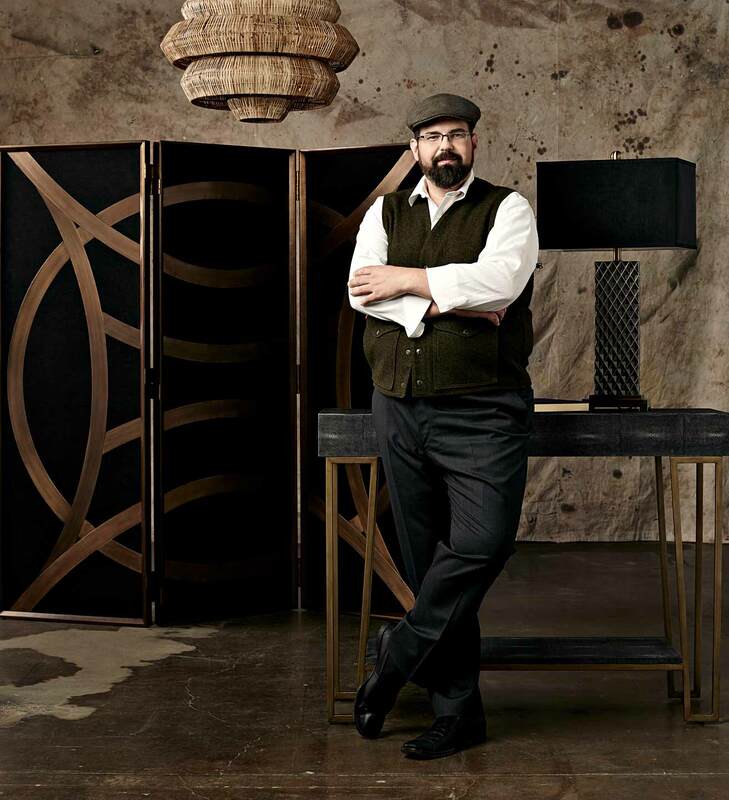 Environmental portrait of Brownlee Currey, President of Currey and Co., a manufacturer and distributer of high end chandeliers and home furnishings for the home and interior design market. Photographed on location at the companies corporate headquarters and warehouse by Atlanta based portrait, editorial, advertising and corporate photographer Nick Burchell. Nick Burchell specializes in photographing portraits of people in the interior design field.